Christmas is the perfect occasion for indulging yourself in dressing up and your fashion fantasies,so with a bit of drama in shape, form &colour, go for an overload of luxury .She may be Gluten free , but she is no ugly Duckling. Think outside the box for this girl, we are talking, perfectly manicured nails, giant cocktail rings, designer dresses and vertiginous heels. Do you get the picture ????? 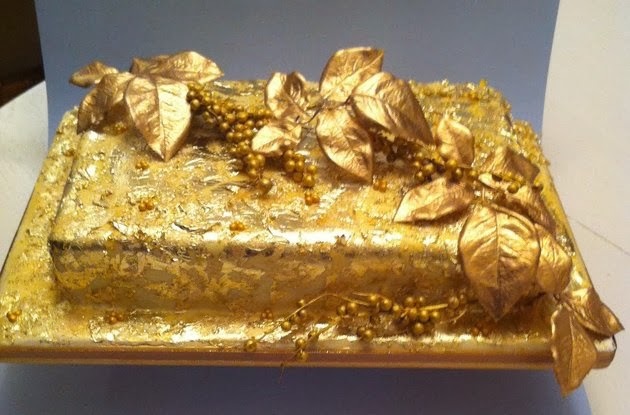 Here this gluten free, rich fruit cake, steeped in alcohol, covered in golden almond paste,stylishly dressed in gold lamé and bronzed to the hilt, will make a stunning centrepiece on your table this Christmas. In a bowl , mix the ground almonds, caster sugar & icing sugar. Whisk the egg white, lemon juice , sherry & vanilla essence, then add to the ground almond mixture. Mix well , pounding and kneading until smooth . Wrap in cling film until needed. 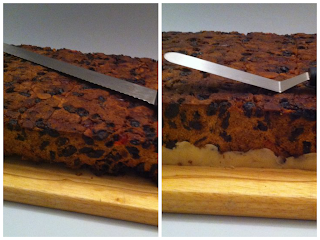 Trim the cake with a sharp carving knife on all sides and aim to get it as even as possible.Fill the gaps at the bottom with some Almond paste and smooth over with a small palette knife. With a skewer, prick the top of the cake all over. Brush with the 50 ml of brandy to feed the cake. Warm up the Apricot jam in a small pan and brush over the top and sides of the cake. Roll out your Almond paste and cut two strips to cover the sides of the cake . Smooth out the edges with your palette knife . Roll out the rest of the Almond paste to cover the top. Trim and smooth out the edges to seal. 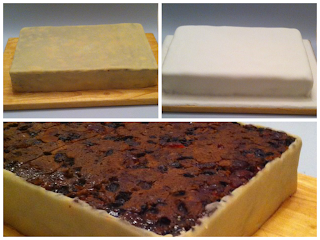 On your counter, dusted with icing sugar, roll out the sugar paste, large enough to cover the whole cake in one go. 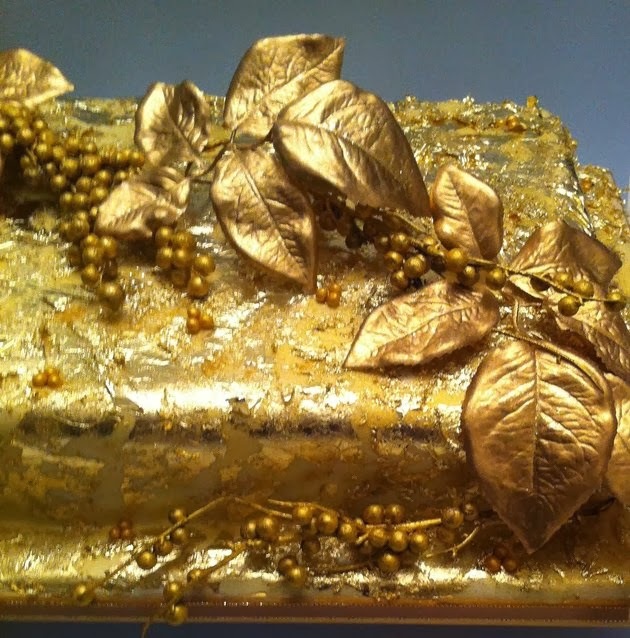 Brush the almond paste covered cake with some of the alcohol and ease the sugar paste over and gently tuck in to snugly fit and trim the excess. 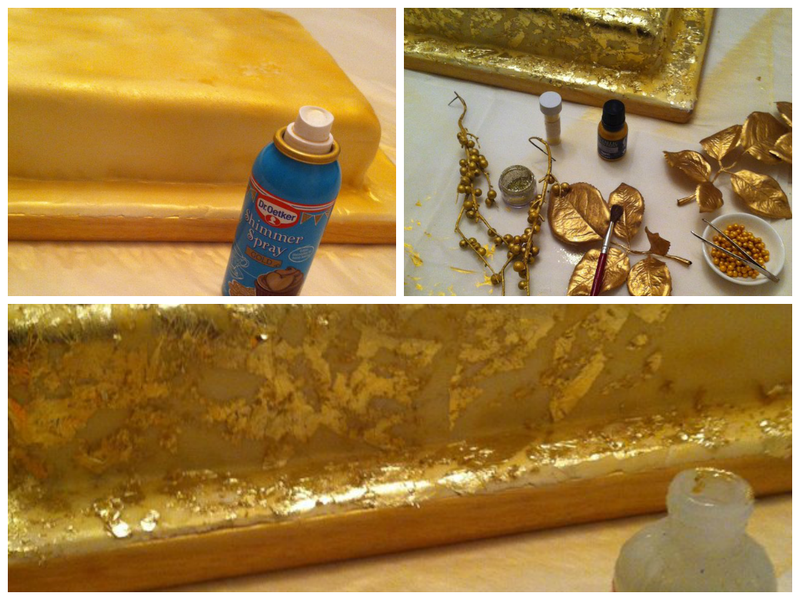 Spray the covered cake with the edible gold spray. 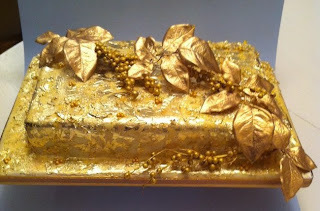 Using a small paint brush, paint small areas of the cake with the edible glue, and cover with sheets of edible gold leaf. Working quickly, dab the surface with a brush to obtain a marbled effect.